Hi, I’m Dr. 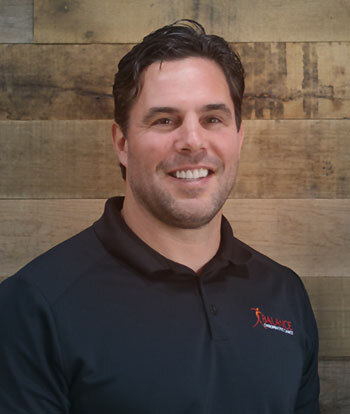 Troy Norris with Balance Chiropractic Clinic. I often times get asked a question, “Can you help me with my headaches or can you help one of my family members with the headaches that they are suffering from?” Chiropractic is very, very effective in helping people with headaches. The biggest thing that we look for is we look for areas primary throughout the cervical spine, the neck that may be causing stress or irritation to your nervous system. Since 1995 since I’ve been a chiropractor, we’ve helped thousands of people that come in and present with headaches. If you’re in terested in seeing if chiropractic could maybe help you, there are three points that I’d look at. Number one, is this doctor close to you? Is it efficient for you to get to and from the office because it oftentimes takes a series of visits to see what chiropractic can do for you if you’re a candidate for chiropractic care. As well, is the doctor well-rounded? Do they have the right tools in analyzing your condition? Do they have the right tools in caring for your condition? Lastly, do they have an alliance of medical professionals that they could refer you to if they realize that this is not a chiropractic issue? Since 1995, we’ve been able to build those alliances up with medical professionals and we have the tools that we feel are the best in trying to help you with your condition and lastly, we’re in South Boise, easy access from the freeway and we have people that come to us from 40 miles away because of the service that we provide. If you’re interested in seeing if chiropractic could help you with the headaches that you’re maybe suffering from or your family, take a look at us on the website if you want more information. It’s www.balancechiro.net or you can give our office a call at 208-344-4469 and one of my team members would be happy to answer any questions as well as get you scheduled for a free consultation in our office. We pride ourselves in providing the best quality chiropractic care in Treasure Valley and that’s what it’s all about.